The story of Solanie brand started in 1936 when Mihaly Pito pharmacist chose to beautify the body and nurture the soul as his vocation besides healing. The most beautiful drugstore of Baja was waiting with open doors not only for those who wish to heal but also those who would like to become more beautiful. The youngest member of the family, Eva Pito, opened her first private beauty salon in the heart of Budapest, in front of the Basilica in 1972. Initially she rejuvenated the lovers of beauty by using mixed creams from preserved recipes of her pharmacist father’s legacy, and used the practices of her knowledge about active substances. The first 15 recipes which were based on pharmacy expertise with decades of history got increasingly popular, and the rumour about it spread fast in professional circles, due to its spectacular skin beautifying effects. To fulfil the increased professional demand with the unique creation of creams became more and more difficult, so the operational manufacturing of the creams began. In 2012 Eva Pito’s stepson, Tamas Szorath and his cosmetic company, Alveola took over the development of Solanie brand. The company’s philosophy is based on renewal and dynamism, so the brand has been able to take the first steps on the international market. Now Solanie is present in more than 20 countries, from Slovakia to Malaysia. A beauty school, where professionals can learn. Alveola trained and educated thousands of professionals in the past 25 years, which helped the company to become the leader of the beauty industry in Hungary. Using the many years of educational experience, Tamas Szorath opened Alveola Beauty Academy in Budapest in 2016, where the future beauty professionals can be educated in accredited adult training. On the occasion of the 80th anniversary of the pharmacy family business, Solanie launched the „Velvet cream” with the name of Eva Pito, which soon became the favourite among users. In the past few years Solanie won many awards, including several Hungarian Quality Product Awards and Product of the Year awards. Besides nearly 100.000 satisfied users, more and more cinema and theatre stars believe in the effectiveness of the products and proof their loyalty to the brand. The development of Solanie products is based on effective recipes and professional knowledge of synergistic agent combinations, which is now supported by a modern laboratory background. Creating a new product is carried out with artistic thoroughness, and the collaboration of beauticians, chemists and beauty specialists. Thus, after several years of research and development, it was possible to produce „new generation” products, such as Solanie Skin Nectar Serums, Grape Hyaluron Line which contains unique TO Complex®, and Argan Plant Stem Cells Line. 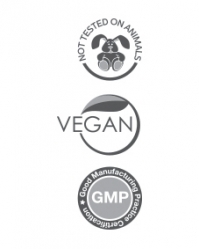 We do not test on animals during the development of Solanie products. The significant part of the products is vegan. All Solanie products are subject to strict and thorough testing by our users, besides the mandatory product safety tests, to create an effective and optimal component-matrix. Solanie products are manufactured according to ISO 22716 Good Manufacturing Practice (GMP) quality assurance system. The new Argan stem cells line of Solanie..